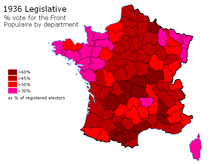 French legislative elections to elect the 16th legislature of the French Third Republic were held on 26 April and 3 May 1936. 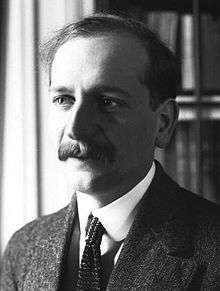 This was the last legislature of the Third Republic and the last election before World War II. The number of candidates set a record, with 4,807 people vying for 618 seats in the Chamber of Deputies. In the Seine Department alone, there were 1,402 candidates. 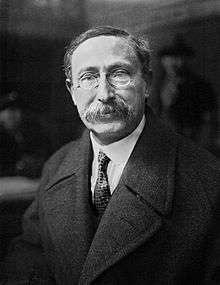 The Popular Front, composed of the French Section of the Workers' International (SFIO), the Radical-Socialists, the French Section of the Communist International (SFIC), and miscellaneous leftists, won power from the Léon Blum became President of the Council. 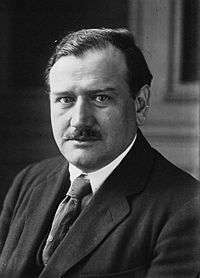 Broad Republican coalitions had governed since the 6 February 1934 crisis: Government Gaston Doumergue II (Union Nationale, 272 days), Government Flandin I (204 days), Government Bouisson (3 days) and Government Laval IV (229 days). 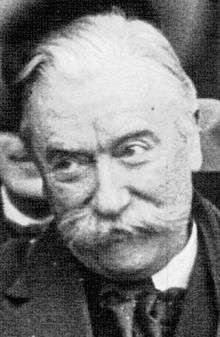 For the first time, the Radical-Socialists were eclipsed on the left by the SFIO, while still keeping a considerable role in French politics. The Radicals lost votes to the SFIO and SFIC, but also to the right. The SFIO declined slightly. In working-class suburbs, the party declined, but it gained votes in Brittany, to the dismay of the right. Only 174 seats were elected in the first round, 424 were decided in a run-off. The right fared better in the second round. ↑ "French elections a task for voters", The New York Times. 20 April 1936. Page 7.